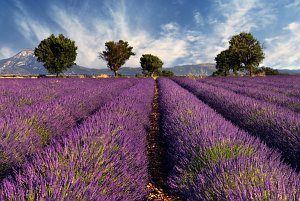 Every year, vast fields of lavender stun everybody with their unique color and intoxicating scent of flowers. We decided to transfer these unique flavors of lavender to our oat cookies. Lavender, oatmeal, honey, a little butter and brown sugar …. Delicious and healthy!!! Sift the flour and mix it with oatmeal and lavender flowers. In a saucepan, melt the butter with the brown sugar. Put all the ingredients together (do not forget the honey). Next, form small balls, flatten them slightly, and put them on a baking tray lined with baking paper. Bake at 180 degrees C for about 8 minutes. This website uses cookie files. Use of this site constitutes agreement to recording or using them.